From remote Alaskan waters to typhoon recovery in the Philippines, touring the turquoise shallows of the South Pacific to skimming down the Clearwater in search of steelhead, SJX Jet Boats is making waves across the globe. There’s a reason these Idaho-made aluminum jet boats can be found in every hemisphere: when it comes to shallow water boating, an SJX Jet Boat is a razor blade among butter knives. Steve compares this design to having four-wheel drive on the water. With the ability to navigate on and over debris and obstacles presented in the shallows, SJX Jet Boats are a unique tool for fisherman and rescue teams alike. 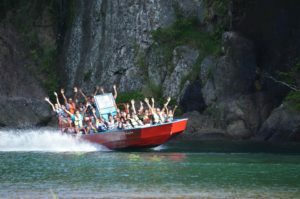 Although their footprint is undeniable, SJX Jet Boats began in Northern Idaho, far from Southeast Asia. 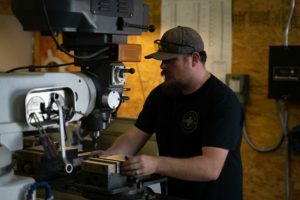 Steve started in the boating industry right out of high school, working for a boat manufacturer on the weekends where he was given the opportunity to be involved in nearly every aspect of jet boat building. In 2007, SJX Jet Boats was born and now resides in Orofino, Idaho, with highly-coveted water access right across the highway from their manufacturing facility. 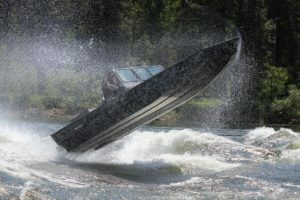 SJX Jet Boats is located at 10110 US-12, Suite A, Orofino, Idaho 83544 or online at www.sjxjetboats.com. With century-old roots in the Irish dairy co-operative movement, Glanbia focuses on delivering better nutrition for every step of life’s journey. Now, the company that started from small beginnings in Irish agriculture is now a global nutrition company, providing ingredients to top brands in both the food service and retail space, in addition to the largest sports nutrition brand family globally including recent acquisitions of SlimFast and Watson. What does a global leader in dairy and nutritionals have to do with Idaho? To start, they’ve been here for over 25 years. With roughly 1,000 employees, Glanbia’s Idaho team makes up more than 14% of the company’s total global workforce. Glanbia operates in 34 countries around the world and ships product to 132 different countries, but Idaho continues to be the key to their production. Wilf explains that as the dairy industry continues to grow in the region, Glanbia Nutritionals processes roughly a third of Idaho’s milk production, making them the largest milk processor in Idaho. In fact, they process enough milk each day to fill five Olympic-sized swimming pools. Whey protein continues to be in strong demand as consumer diet choices evolve, but cheese will always be a cut above the rest. Behind the production facilities, Glanbia Nutritionals operates two innovation centers in Twin Falls; one for cheese and one for ingredient solutions that drive new product development. Wilf estimates that based on Glanbia’s Idaho cheese production and the state’s population, every Idaho resident would have to consume about 300 pounds of cheese per year if all production was kept in state. Luckily for Idaho’s average waistline, nearly 90% of Glanbia’s products move outside the state throughout the country, with the remainder going mostly to export markets. However, there’s one market that remains close to home. Glanbia is no stranger to awards for pepper cheese and more. The company participates in the annual U.S. and World Cheese Championships where they’ve taken home more than 150 awards in their lifetime, winning 18 this year alone. No matter how ubiquitous Glanbia products become, Wilf emphasizes that they’ll continue to be in Idaho for many years. “In Idaho, a handshake is still a handshake, and that means a lot to us,” he said. Learn more about Glanbia at https://www.glanbia.com, and try a cube, a curd or a brick of their cheese at the Glanbia Cheese Marketplace, 131 Main Ave East, Twin Falls, Idaho 83301. Chilla in Vanilla. That was the heavyweight boxing championship in 1975, right? Alongside Peanut Blubber, Caramels Back, No Judge Mint and Jam Session, Chilla in Vanilla is one of Killer Creamery’s delectable keto ice cream flavors. For Louis, a food scientist who indulges in moderation, creating a healthy ice cream alternative came out of a need to satisfy his sweet tooth. 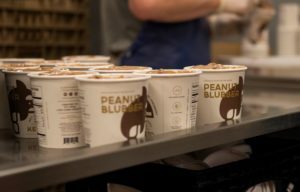 Killer Creamery, which began as a protein ice cream company called Killer Whey, makes their keto ice cream with zero added sugar and all the actual fat, giving it the flavor and dense, creamy texture consumers crave. Louis’ ice cream recipe came at the perfect time, catering to a large population focused on replacing traditional treats with healthier options. But Louis also feels his company is in the perfect place, geographically speaking. 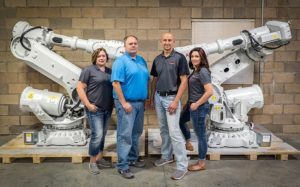 Having just moved into a new production facility off Eagle Road in Boise, Louis doesn’t have his eyes set on large-scale manufacturing just yet. 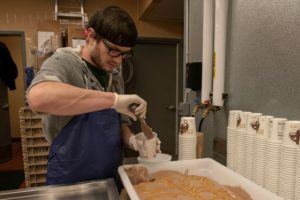 His ice cream is still hand-scooped and packaged for shelves in Albertsons, WinCo, the Boise Co-Op, Safeway and for customers across the country. 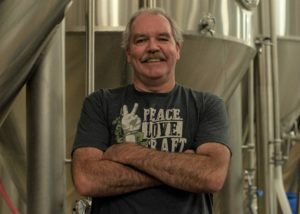 Learn more about Killer Creamery at their home on the web, https://killercreamery.com/ and follow them on Facebook and Instagram. Nestled between sloping mountains in the Salmon River Valley lie 20 acres of land peppered with over 100 four-legged cotton balls, grazing and enjoying the sun. 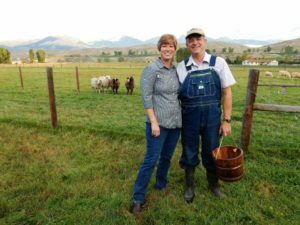 Now and again their mornings are interrupted when they’re led to a barn to be milked by Randal or Carol Stoker, who make artisan sheep cheese at Mountain Valley Farmstead in Carmen, Idaho. “We have a niche because sheep have a very flavorful and nutritious milk,” said Carol. Compared to cow or goat milk, sheep milk typically contains three times the protein, more vitamins and minerals, and a complete set of amino acids. 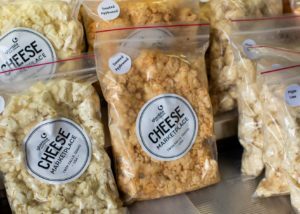 But there are three primary reasons Mountain Valley Farmstead customers keep coming back: Manchego, gouda and pecorino. Named after Carol, Randal and their home base, Carmen Carrano is a Manchego-style cheese that ages for a minimum of six months. Mountain Gem is their gouda-style cheese that ages for three months and has a milder, slightly sweeter taste. Mountain Valley’s newest addition to the lineup, Pecorino Idaho, is a firmer, Pecorino Romano-style cheese that ages for nine months and is typically used for grating. Europe is where Carol and Randal found their original inspiration for the farmstead. The Stokers’ lives have now come to revolve around Mountain Valley Farmstead. They live in an apartment in a barn surrounded by mountains. That same barn is used for lambing, milking and cheese-making. It’s where Carol and Randal watch over their flock. 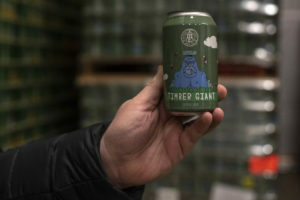 Their small production footprint is important to the Stokers whose goal is to stay small with very little environmental impact. “We would just like to become the favorite of the area and throughout the state,” said Randal. As their artisan sheep cheese continues to stampede through farmer’s markets and grocery stores, the Stokers’ goal of being an Idaho favorite isn’t far-fetched. 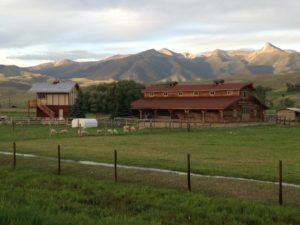 Visit Mountain Valley Farmstead at 7 Macnab Lane, Carmen, Idaho, 83462, on their Facebook page or at their home on the web, www.mountainvalleyfarmstead.com. House of Design based in Nampa, Idaho, isn’t what you think. Sure, their office space is on trend with exposed cement details, dry erase walls, bright white interiors and bold accessories, but their accessories aren’t trinkets for a coffee table; they’re robots. 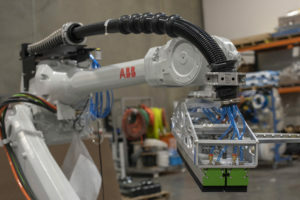 Since its inception in 2012, House of Design has focused on the use of industrial ABB robots as a commodity to improve manufacturing processes. The robotic systems developed at House of Design range from small robots moving cameras, to robots lacing shoes, to complete systems enabled to construct building materials. Maintaining a progressive, forward-thinking mindset is what drives success at House of Design. That mentality led the company to be awarded an Idaho Global Entrepreneurial Mission (IGEM) grant of $162,000 for their partnership with Idaho State University and Ph.D. student Omid Heidari. According to IGEM Program Manager Carmen Achabal, the program benefits Idaho industries by solving business challenges and acting as a catalyst for new, viable technologies that give businesses an edge in their respective industries. Shane explains that with the help of the IGEM grant, House of Design and Omid are developing augmented reality that allows customers to walk up to their robotics system and identify different issues and overall equipment effectiveness through augmented reality glasses or the use of a HoloLens. It’s important to note that no matter how sophisticated the product offering from House of Design becomes, robots aren’t taking over the world or workforce. After creating nearly 50 jobs in the valley with more to come, Shane emphasizes it will always be all about the people. Visit House of Design at 16141 N 20th Street, Nampa, Idaho 83687 or at https://thehouseofdesign.com. How many times have the words “You definitely should try…” come out of your mouth? Whether it’s to a cousin in town for the weekend, a couple on the street wandering aimlessly in search of a new lunch spot, or to a friend planning the details of a first date, as humans, we are naturally inclined to make recommendations to those around us. But what do we get in return? 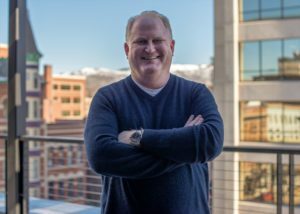 For Mike Gibson, founder of the Idaho-based mobile app, Aska, this was a problem that desperately needed solving. Insert the frantic applause of realtors, hotel front desk workers and bartenders here. 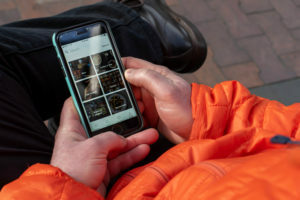 Here’s how it works: The Aska app, available for Apple and Android, is full of local restaurants, bars, salons and more. When referring someone to a favorite local business, the person making the referral selects the business in the app, enters the recipient’s phone number and hits send. The person on the receiving end then gets a text message with the business information and a first-time visitor’s deal ranging from discounts to buy-one-get-one offers, to introductory products. Once the deal is redeemed, the person making the recommendation benefits as well because Aska keeps track of the referrals and, much like a punch card, provides a kickback over time. Chain restaurants are nowhere to be found in the app, and that’s by design. Aska is hyper-focused on keeping things local or, as Mike calls it, being the anti-Yelp. 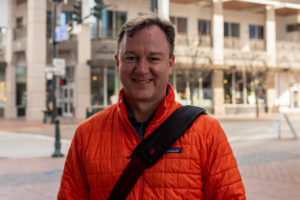 Using what he learned from a TED Talk by Kimber Lanning, founder of the Local First Arizona Foundation, Mike explains that if only 10% of spending was shifted from national to local companies, the economic impact throughout the United States would be massive. This is an example that’s repeated all throughout Idaho communities. So, friendly Idahoans, who will you refer next? Follow Aska on Instagram @askalokal and download the Aska app from the Apple App Store or Google Play. On the morning of March 22, 2014, a small neighborhood near Oso, Washington, woke to tragedy as a mudslide engulfed nearly 50 homes and structures, leaving more than 40 residents dead and numerous others displaced. Over 600 personnel, including first responders and volunteers, worked on the landslide recovery operations around the clock, burning through equipment and resources in an effort to rescue people from the mud and debris. 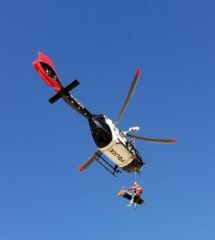 Cascade Rescue Company manufactures toboggans, high-incline litters and other rescue equipment for fire departments, ski patrol, emergency medical support teams, Sheriff’s offices, search and rescue units, helicopter operations, the military, and more. Their lineup includes over 150 products that are vital to providing assistance to people in extreme environments. 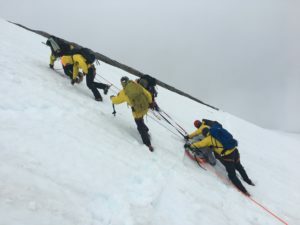 The diverse line of equipment at Cascade Rescue, now shipped to over 25 countries, originated from a single product developed in 1962 at Steven’s Pass in Washington. Since then, quality has continued to separate Cascade Rescue from its competitors. 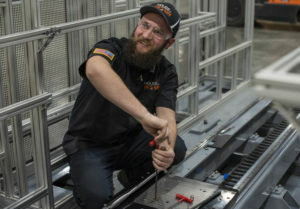 For the nearly one dozen employees at the 9,000 square foot manufacturing facility in Sandpoint, Cascade Rescue has provided transferable skills and high-paying jobs. These benefits are important. Without the dedication and loyalty of their employees, Cascade Rescue would fall flat. Visit Cascade Rescue at 1808 Industrial Drive, Sandpoint, Idaho 83864, or their home on the web at www.cascade-rescue.com. What is the most important human invention? Is it the wheel, revolutionizing transportation and migration? Is it the radio, carrying messages across countries and continents to families and fighter pilots? Corey Milligan, founder of the award-winning company New West KnifeWorks, is taking this historical game changer to a new level. “My goal is to make the finest performing knives, but also to bring in a design that’s appealing,” said Corey. 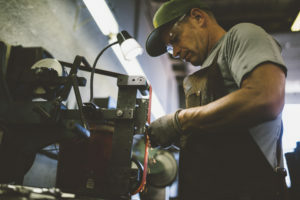 If the list of New West KnifeWorks endorsements is any indication – including rave reviews from The New York Times, Forbes, Bon Appetit Magazine and Bloomberg – Corey is exceeding that goal. Just as a master chef hand-selects their recipe ingredients, Corey focuses on the use of top-quality materials when manufacturing his knives. 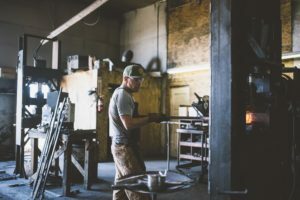 Steel for the blades is curated from U.S. company Crucible Industries, a world leader in steel development, and New West’s knife handles are works of art, yet virtually indestructible. Kitchen knives are the bread and butter of New West KnifeWorks and their sights are set on becoming the best kitchen knife in the world. Although New West KnifeWorks has been in business for over 20 years, Corey says they’re just scratching the surface. 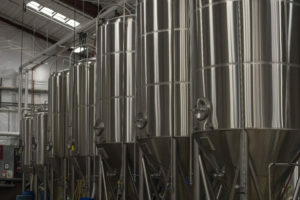 Their latest venture includes a new factory in Victor, Idaho. With companies like Mondo Fly Fishing, Sego Ski Co. and Grand Teton Brewing based in Victor, New West KnifeWorks will be in good company. 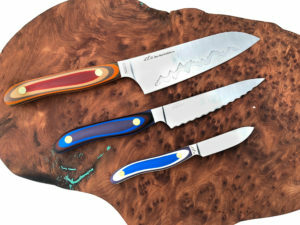 Visit New West KnifeWorks at their store fronts in Jackson Hole, Napa Valley or Park City, or at http://www.newwestknifeworks.com/.